It’s on the tip of your tongue, your burning to share your question or how you feel then your brain kicks in … “What will they think?” and “What if they don’t like it” and then you swallow down your own words. If it does then you’re not alone. I speak to and work with many women who live in fear of what will happen when they speak their minds and what’s in their heart. Which leaves them stuck in life, in jobs, in relationships and in their own heads all too often. Living for approval and permission. ^^^ That to me isn’t loving that is surviving and often when women come to me to find that clarity and live a happy life they deserve. And I do it too, even now as a coach. I can bite my tongue at times, but the best things flow into my life from sharing my truth and what’s in my heart. But not always in the simples and easiest way. My life is littered with countless awkward, painful conversations and interactions that I could have handled differently. My school days when I was shy girl, geek with braces and a mullet that loved learning but found it hard to make friends. To my corporate days, when I felt continually pressure which led me to be constantly people pleasing and looking for approval. And most painfully in my marriage, when I was so different to my husband’s family who were introvert and shy where I was tactile and very open. It took me three years to leave my husband, from the moment I told him until the moment I left I became so insular that I found it hard to speak round him and share how I felt. So many moments I wanted to share how I felt trapped and confused with how I felt, but I was terrified of hurting this amazing man. So many conversations with a marriage counsellor that tore my heart out, when I wanted to speak but was stuck in feeling embarrassed, ashamed and guilty that it was all my fault. I hated Tuesday night, counselling nights as I’d leave drained and exhausted, yet no further forward. And if I could physically feel a broken heart, this is when my heart ached for love and care yet the one person who wanted to give me that I couldn’t let in anymore. It was only a desperate moment of anger and frustration that I eventually left, after 3 years of holding back and having the words “I need to leave” stuck in my throat. For that I’m not proud, but I can now accept that version of me was doing the best she could. That now I’d go into with my eyes open and a pure intent of sharing my feelings, the truth from my heart. I don’t judge myself, the other person or the outcome, instead I try to trust more and more the outcome will be as it’s meant to and lead me down a road I need to experience to grow. Even now, I struggle to speak from my heart at times but I’ve created ways of sharing it in a courageous way. One of my values is courage, which means speaking from the heart so for me it’s part of how I live my best life. ^^^ That to me is letting ourselves feel and share our truth. I’m going full geek for a few moments but it’s AMAZINGLY powerful. The Noggin Knowledge for this is so fascinating as it’s one of the biggest differences, between men and women explaining so much. There is a part of the brain called the mammalian brain, this was developed when we started to stand up and group together. It’s focused on love, care and connection and is our social brain if you like so it wants to know where we are in the social hierarchy. So being part of a group = safety. And more powerful when dosed up with oestrogen, a female hormone. So that means that women are hardwired to care more about people think. So, the he said, she said conversations and even into the I think they think that can leave us paralysed in inaction. Does that make sense? The short of it is that women, are hard wired to care more about what people think of them, which makes us worry much more about what we say and how that could upset others. Simples, but powerful. 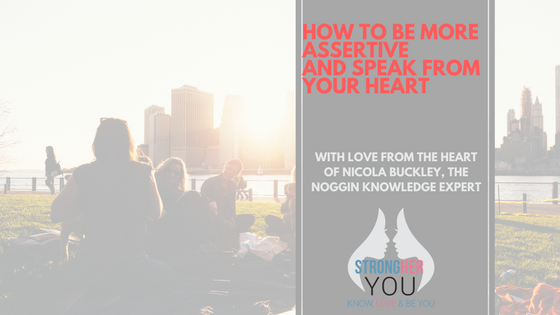 It’s not so much about being assertive it’s being YOU. This is what I believe to be true about speaking from your heart, it’s also what I teach and coach my clients to bravely speak more of their truth. Your heart speaks the truth. It’s as simple and pure as this. No one knows your heart better than you do. Your heart speaks to you every day in the language of love. And it shows you your true path through feelings. At times they might seem scary, they might take you out of the safe and known but that’s how you grow and become more. Those fears are simply growing pains, growing to become more of you. Your feelings are kinda like diamonds in the rough, waiting to be found and cleaned up to show you the way. Your heart holds the key to your life. Your dreams, wishes and desires are all imbedded in your heart. Whom your heart choses to love, your life’s work and your purpose all reside in your heart. We spend so much of our energy looking outside of ourselves for answers and solutions. We believe that someone else has the answer; that they are experts, and they know more than we do. Yet the truth is no one knows more than we do, to what is right for you, your heart has the answer — if you simply quiet your mind long enough to hear it. We spend our lives trying to live up to others’ expectations of who we are meant to be. This is a path to the should life, people pleasing and seeking approval that I see so many women stuck in. When I work with my clients, my role is to guide them to find their truth and start to listen to this true voice more and more. And less and less to others and the external world, that leads to confusion and a life they don’t truly want. The voice that might be quiet and unheard, the voice that might be talked over by overs, the voice that might feel scary to follow. But that is always there as a cheerleader and safekeeper, always when I ask my clients what is in their heart they already know the answer. They’re often just too scared to take action, so we plan that out together so it feels like the right pace. 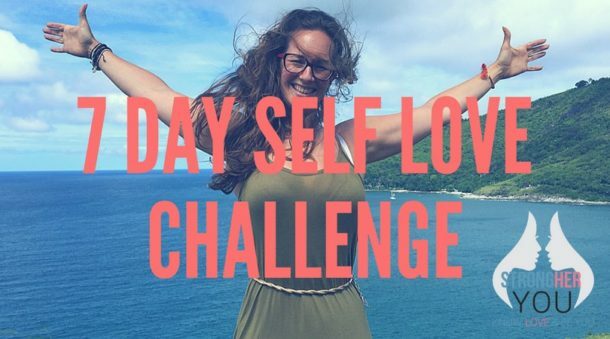 I have found the most significant shifts are always heart-based, the decision to change career, move country or leave the relationship that isn’t working all comes from the heart and your true voice. When the light shines on the darkness they have been feeling, a lightness of being occurs. Here we go, how to start to speak more from your heart with your true voice. To listen to your heart you need to take some time to slow down and listen in, that doesn’t happen in the day to day manicness of your life. So take some time to stop, breath and ask yourself how do I feel. I do this every morning or if I feel myself starting to get stressed and worried, even placing my hand on my heart and breathing into it. Start to give that true voice air, what do I mean let it be in the world and have the attention it deserves. Even if that just starts with writing it down, so you can see your own truth. As hard as it is, let go of fear and judgement. The truth is that our brain in continually judging others, just as others are judging us that happens even when we don’t notice it within our subconscious. So why not be judged for being the real you and sharing your truth? Then it will be something you’ll stand behind more and more. You can’t be wrong in your truth, it’s simply your truth about how you see the world. That is not up for debate with others, it’s simply you being and honouring you. So let go of thinking and feeling things that are wrong, instead start to think of life as an experiment where you’re doing the best you can. Get that white lab coat and let go of attachments to right and wrong, instead thinking about what can I learn from this what has it shown me. Start to flex that muscle of sharing your truth, If the truth feels scary, don’t worry I’ve got your back. One of my favourite series of books, is Conversations with God and in them Neale Donald Walsch talks about 5 layers of truth telling. “Start telling the truth now and never stop. Begin by telling the truth to yourself about yourself. Then tell the truth to yourself about someone else. Then tell the truth about yourself to another. Then tell the truth about another to that other. Finally, tell the truth to everyone about everything. So, start with where you are right now, even if you just start to write down how you feel … your truth then you’re on the path. Start to listen to your true voice, your heart.